Home / News / On The Boards / Can downtown design find balance? 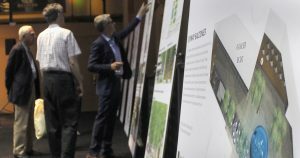 As the latest designs for the public spaces in Rochester’s Heart of the City subdistrict were revealed Tuesday, finding the right balance became a focal point. Jon Buggy, a principal with RSP Architects of Minneapolis, said that was the goal of the six-month design process, which he compared to stretching a rubber band before letting it return to the appropriate shape. “We were really stretching what the Heart of the City could become and returning it to a resting point that feels really right for Rochester,” he said. Members of the Heart of the City Community Advisory Committee indicated many of the designs appeared to snap back to the right place. Where skyway have replaced a proposed elevated section of Peace Plaza, members said the new outdoor proposal helps meld the downtown’s three levels — subway, street level and skyways. “I think that’s the key to making downtown understandable for patients and visitors,” said Gail Eadie, a committee member and design manager at Mayo Clinic, noting the balconies would help. Even opposing visions found some balance in the designs. 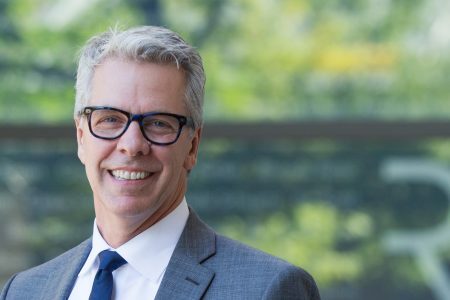 Rochester businessman John Wade said he appreciated the fact that the proposals were centered on patient needs, which he sees as the key economic driver for the city’s downtown. “I continue to believe this is about the patients, visitors and residents — in that order,” he said. 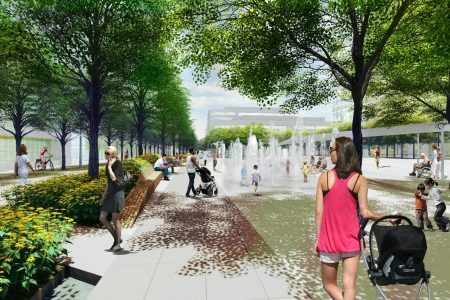 At the same time, Rochester City Council member Nick Campion said the designs also cater to a specific need for area residents by offering spaces to draw families downtown, most notable a proposed new water feature for Peace Plaza. “That’s something we can get the community around,” he said, also noting the ability to transition the space with fire tables in colder weather was a nice feature. During a public workshop later Tuesday, Shane Coen of Coen and Partners, which is working with RSP, said the goal is to provide a balance between needs. He said more visitors requested contemplative spaces while residents wanted active spaces. However, Lisa Clarke, executive director of the DMC Economic Development Authority, said the opposite can be true. “Some patients want to be around active environments,” she said. Jenna Bowman, executive director of the Rochester Downtown Alliance, also pointed out residents who work downtown sometimes need places to escape the activity. Buggy said the input was helpful as his team, which also includes 9.Square, HR&A Advisors and Kimley-Horn, works on a final schematic designs with the intent to meet downtown needs 365 days a year. The next steps for the plan will include reviews by the Rochester City Council and the DMC Corp. Board, but local resident can still weigh in by reviewing the plan and providing feedback at DMC-HeartoftheCity.org.